Those of us who are food allergy-knowledgeable licensed behavioral healthcare providers will inevitably get calls from parents seeking guidance on helping their child with food allergy-related anxiety at some point. "My child will no longer eat at restaurants when we go out to eat as a family." "My child complains of an upset tummy often, especially before or after eating." "My daughter won't ever go to her friend's house to play, even though she says she would like to hang out with her friend over there." "My son reads food labels over and over again, sometimes 5-10 times, before feeling like he can eat a food." "My child says she feels like her stomach hurts and her throat is closing after almost every meal she eats." If you or your child exhibits elevated levels of anxiety that are negatively impacting daily life, I highly recommend seeking guidance from a licensed clinical counseling professional, preferably a food allergy-knowledgeable one. But even if you're not experiencing elevated levels, these five general anxiety reminders for parents may still be useful to incorporate to address and manage developing anxiety. Wouldn't it be great if we never felt anxious or worried? Sure, but that's not a realistic goal for anyone, so don't try to remove everything that produces anxiety for your child. The best way you can help your child navigate anxiety is to help them learn to accept its presence, understand it, and develop skills to manage it. Part of understanding anxiety is not only learning about the thoughts and feelings, but also the physiological sensations often associated with the emotions. By gaining this understanding, it allows for more personalized skills that will help your child manage their own anxiety. Focusing on managing the anxiety (rather than avoiding it) often demystifies these thoughts and feelings, which can lead to decreased frequency of anxiety over time. It's also important to remember that anxious feelings can also be a positive tool, reminding you to assess risk, and motivating you to cope in order to make it through an uncomfortable situation. Your natural instinct when you see that something makes your child anxious may be to remove them from the situation, and maybe even avoid similar situations in the future. While it's important to avoid unsafe situations when managing food allergies, if you find that you and your child are shying away from most activities, you may need to explore if all of them truly have high enough risk levels that they need to be avoided completely, or if you can reassess the risk levels for some. Why is it important not to simply avoid all situations that evoke anxiety? Because it can send a message to your child that the solution to anxious feelings is to avoid, leave, or simply ignore the feelings. Approaching anxiety this way robs them of the opportunity to learn to navigate these feelings, build tools to become more resilient, and gain confidence. You can't promise your kids that they will never be faced with anxiety-provoking situations where they may come face-to-face with their allergen, or even experience a reaction. ​But you can promise them that you are prepared with your emergency action plans, epinepherine, have educated those around you, and that you won't put them in situations they feel unprepared to handle without their permission first. When they express fears or worries, promise them that you are there to approach these feelings together as a team. Remind your child that they will learn how to navigate their worry, and will likely become braver than it over time. When your child (or you, for that matter), feel a lack of control, it can fuel anxious thoughts and feelings. Therefore, it's crucial to emphasize the skills they have in their tool kit to navigate and cope with situations, rather than focusing on the fear. Practicing food allergy safety skills often with your child will increase their confidence that they can handle anxiety-provoking situations. If your child presents with the "what ifs" often, use this as opportunities to talk through the scenarios with them. By exploring situations ahead of time, it reminds them which tools they can use to navigate worrying situations, and which skills they have to manage their emotions. Parents also need to learn how to reinforce skills and not fears in those crucial real-time moments. Rather than responding to your child's anxiety with phrases like "Don't worry" or "Everything will be fine", use messages that reinforce your child's ability to manage the uneasy feelings. When you're faced with that upset tummy, rather than trying to reassure with "I'm sure it's nothing" or even joining right in with their worry, use a skills-focused approach: "Upset tummies are no fun! Let's use our private investigator skills to figure out why it might be bothering you?" (And then follow up with a team investigation together). When your child won't eat at the restaurant, instead of focusing on, and inadvertently fueling the emotion by saying "Are you worried? Is your tummy upset? ", focus on the skills by saying something like "I wonder if we should review our safe restaurant eating tools again to make sure we've used them all? Remember when we ate at [insert restaurant] - we used all of these tools and we ate safely." (Maybe even have a checklist handy for your child to actually use at restaurants). I like to recommend the follow workbook for kids, as they can work on it with their parent at home, or with a counselor. It's an interactive workbook geared towards kids ages 6-12, which guides parents and kids through common Cognitive Behavioral Therapy (CBT) techniques that help with worry. It's part of a series of workbooks, which cover a variety of topics. 2. What state do you practice in? As a parent of a child with food allergies, I understand the journey and its inherent challenges. I offer compassionate and informed services to individuals, parents and families who find themselves challenged or limited because of food allergies. I care deeply about empowering clients with food allergies to harness the protective elements of vigilance while mediating the harmful outcomes of prolonged and pervasive anxiety. I find it very rewarding to help clients identify the possibility of beautiful and positive outcomes of living with food allergies. While I wouldn't wish a food allergy on anyone, I so admire and respect the many qualities that often evolve in our children. Our kids are more often than not more compassionate, self-regulated and have the ability to do "their own thing" despite what the crowd is doing. I love helping, for instance, parents of young ones see how these characteristics will be valued assets in short time!!! 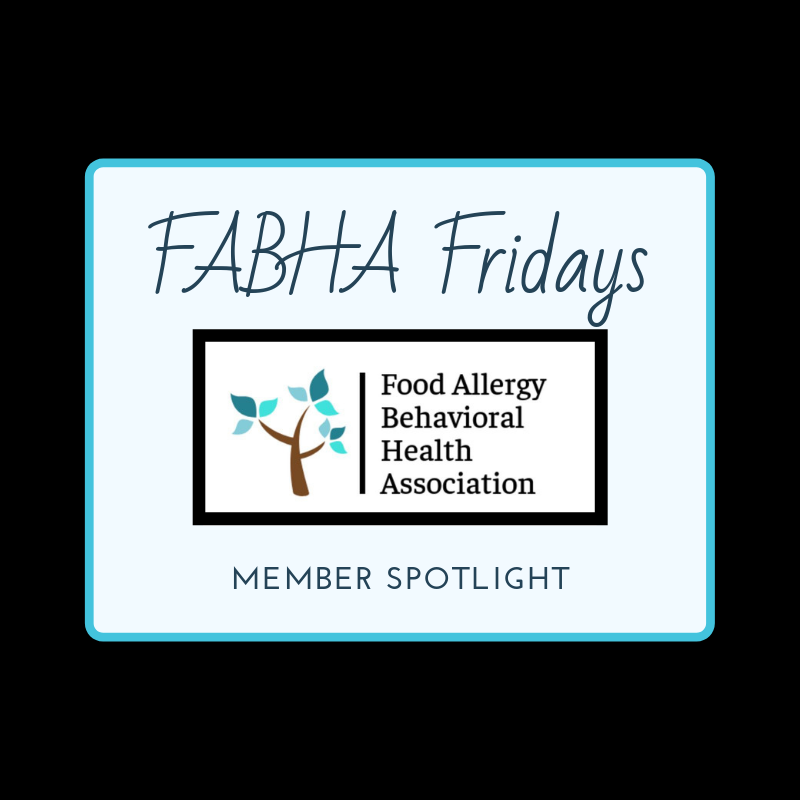 To learn more about the Food Allergy Behavioral Health Association (FABHA), check out the first "FABHA Fridays" post, or the FABHA webpage. ​The focus on food allergy -related mental health is growing. Food allergic individuals and families often express concern over emotional aspects of life with food allergies. With more targeted research studies on this topic, allergists are expressing interest in gaining a better understanding of how psychosocial factors impact life with food allergies and/or treatments. Due to the establishment of the Food Allergy Behavioral Health Association (FABHA), there is now a central hub for licensed clinical behavioral health professionals committed to positively impacting the lives of those managing food allergies. In an effort to highlight this growing network and the importance of acknowledging food allergy-related mental health, "FABHA Fridays" will highlight a brief interview with a member of the Food Allergy Behavioral Health Association, sharing insight into how/why they choose to work with food allergic clients. (Read more about FABHA, including its development and purpose, below). ​So let's start off with the first "FABHA Fridays" member spotlight! ​1. What is your clinical background? 3. Why did you choose to work with clients managing food allergies? As the mother of a child with severe food allergies, it pains me when young people or their parent's are struggling to find a therapist who understands the anxiety and intensity of living with food allergies. Every child should be able to be connected with an experienced therapist who can understand an empathize with their experience. I wanted to merge my knowledge living in the food allergy world and my work as a child and adolescent trauma therapist. 4. ​What's one piece of advice or favorite counseling/mental health-related resource to share with clients? The Land of Not by J.J. Vulopas is an amazing children's book about choosing to live in the world of what you CAN do as opposed to living in the work of what you CANNOT do. ​Food Allergy Behavioral Health Association? In 2018, in an effort to connect with others, Tamara Hubbard, MA, LCPC founded a professional networking group for food allergy-knowledgeable counseling professionals called the Food Allergy Counseling Professionals Network (FACPN). After members from various clinical behavioral health professions continued to join and connect, it became important to better highlight the fact that the group was for licensed clinical behavioral health professionals, not just those that identify themselves as counselors. Tamara and fellow member Lisa Rosenberg, M.Ed, MSW, LSW put their heads together to determine how to transition this space into something more encompassing. ​The result was to transition FACPN into the ​Food Allergy Behavioral Health Association (FABHA), as this name better reflects who the members are and the overall goals of this growing professional community. FABHA continues to be a professional collaboration space for licensed clinicians in Clinical Counseling, Clinical Family Therapy, Clinical Social Work, Clinical Psychology, and Clinical Psychiatry or those that are pursuing their clinical license, and who are committed to improving the lives of anyone impacted by food allergies. (This includes health-focused research psychologists that focus on food allergies or related conditions). 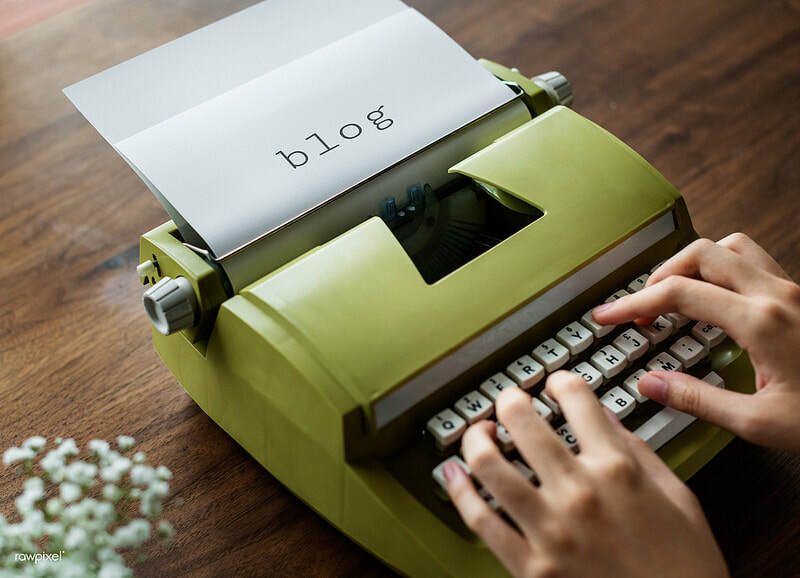 However, beyond connecting, networking and sharing resources, FABHA also presents opportunities to receive/offer mentoring, and to collaborate to help expand and positively impact the behavioral health needs of the food allergy community. (Learn more about FABHA, or express interest in joining, via the FABHA link above).